The logic for this, he argued, was that a right-wing leader like Modi would be preferable in resolving the Kashmir conflict. He said that if the opposition party, Congress, came to power, they would not be in good position to tackle the Kashmir issue due to their fear of a backlash from the parties on the right. A US peace plan for the Middle East - which is set to be unveiled after Israel's general election on 9 April - has been delayed since December 2017 when Palestinian uproar followed President Trump's recognition of Jerusalem as the capital of Israel. 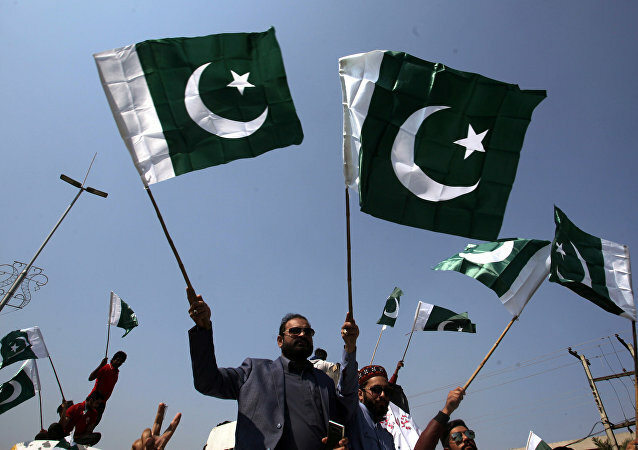 K P Fabian, India’s former Permanent Representative to UN opines that Pakistan is keen to use its position with effect to Afghanistan to garner the US’ support in the wake of ongoing conflict with India. He, however, believes that Afghanistan talks will not have a direct influence on the ongoing strife between India and Pakistan. BRUSSELS (Sputnik) - The European Union believes it is important to continue to encourage the diplomatic process on the Korean Peninsula, as results of such complex issues cannot be achieved quickly, a representative of the European Union told Sputnik on Thursday, commenting on outcomes of the second Trump-Kim summit in Hanoi. Mr Kushner is in the Middle East this week for a five-nation tour accompanied by US Middle East Envoy, Jason Greenblatt. The pair are reportedly in the region to gauge the level of support among Arab statesmen for President Trump's 'deal of the century' between the Israelis and Palestinians. MOSCOW (Sputnik) - Syria’s return to the Arab League, a regional bloc, would be beneficial to the peace process on the ground, a spokesman for the Russian Foreign Ministry said on Thursday. Rome regards the recent Libyan summit in Palermo as the key to solving the migration issue, pledging to contribute to the peace process. Speaking to Radio Sputnik, Guma El-Gamaty, a Libyan politician who heads the Taghyeer Party, and a member of the UN-backed Libyan political dialogue process, shed light on the recent meeting. 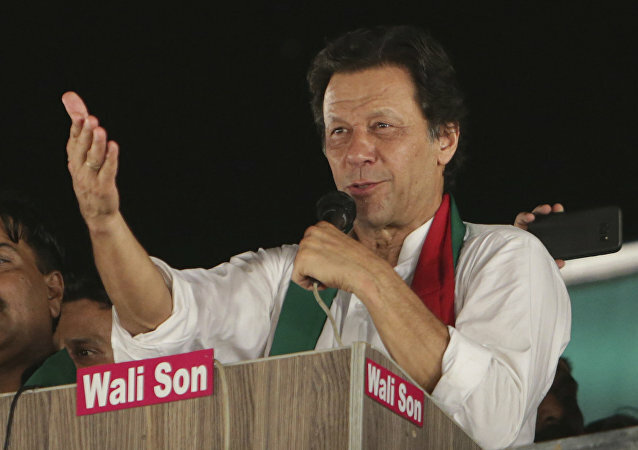 While the US State Department claimed that Secretary of State Mike Pompeo asked Pakistani Prime Minister Imran Khan to take decisive action against terrorists operating in Pakistan, Pakistan has denied that terrorism was discussed in a recent telephone conversation between the two leaders. WASHINGTON (Sputnik) - The United States is determined to advance the Geneva peace process on Syria, and Washington has no plans to participate in next month's Istanbul summit on the conflict, spokeswoman Heather Nauert told reporters on Wednesday. 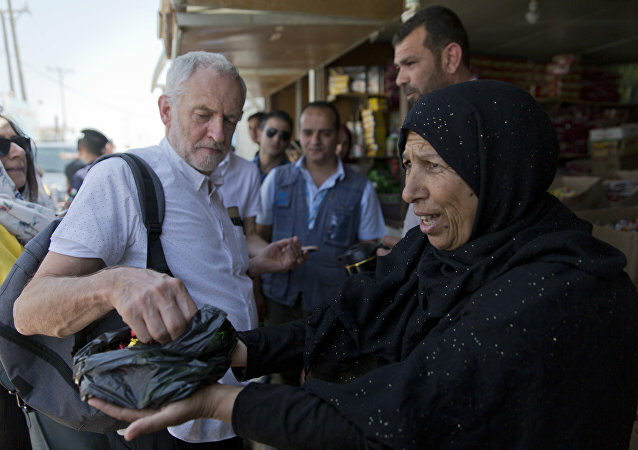 Jeremy Corbyn had visited Jordan's largest Syrian refugee camp, which was part of his first international trip outside Europe since being elected the UK's Labour Party leader in 2015. 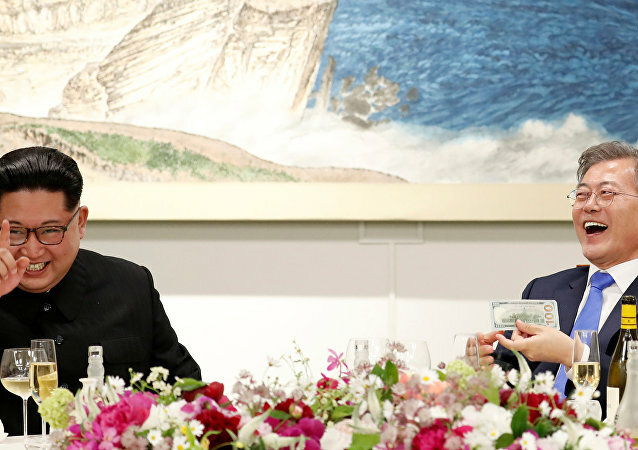 TOKYO (Sputnik) - North Korea on Friday suggested a joint celebration with the South in June to mark the anniversary of their first summit in 2000, a South Korean unification ministry official said. MOSCOW (Sputnik) - South Korea’s Vice Foreign Minister Lim Sung-nam on Friday thanked Russia for its support and urged it to play a bigger role in the Korean peace efforts. There have been calls for the US President to be awarded a Nobel Peace Prize if North Korea ends its nuclear program following Friday's historic North-South talks. Sputnik discussed Trump's role in the rapprochement with Robert Winstanley-Chesters, North Korea expert and Research Fellow at the ANU College of Asia and the Pacific. 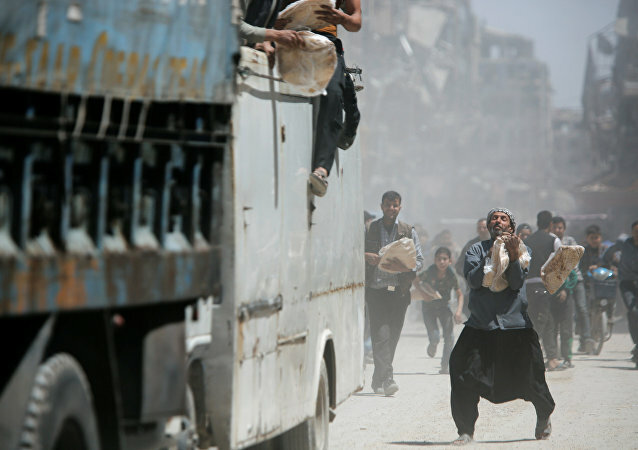 PARIS (Sputnik) – Efforts made outside the Geneva process of Syrian reconciliation have not been bringing positive results over the last several months, French lawmaker Mireille Clapot from President Emmanuel Macron’s La Republique En Marche! party told Sputnik on Monday.